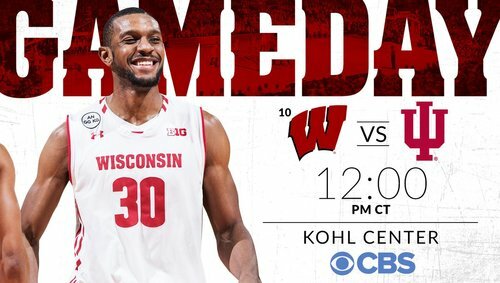 Tip at noon on CBS. ???? 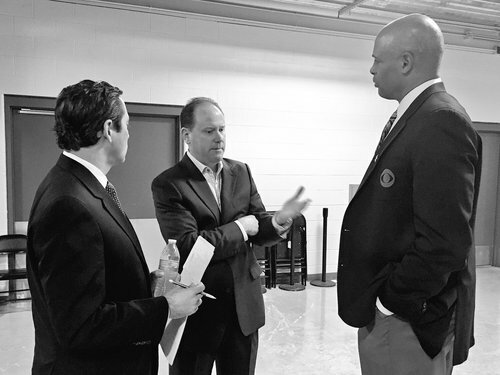 Officials for #Badgers -Indiana: Terry Wymer, Terry Oglesby and D.J. Carstensen. My man, @DOrlandoAJC , is in uniform and ready to go at Super Bowl LI. Frank Kaminsky in the house today -- that's Frank Kaminsky Jr., not @FSKPart3 . No coach gets more boos at the Kohl Center than Tom Crean. Best cheer so far from #Badgers students: Tom get off the court. #Badgers on the board first! Ethan Happ scores the game's first points at 17:51 on a beautiful post bounce pass from Bronson Koenig. Vitto Brown delivering some stellar low-post defense early. Wisconsin leads 4-0 at 15:58. Indiana 0-for-5 from the floor. #Badgers up 4-0 at the first break, all four points from Happ. 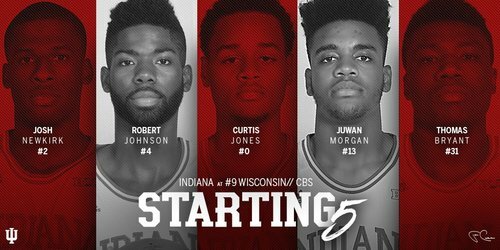 Seven empty possessions to open the game for Indiana. 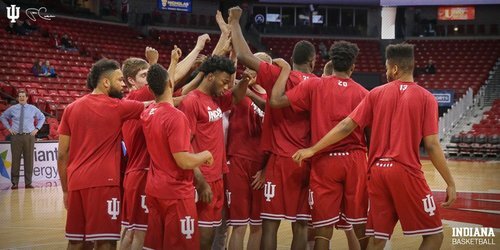 #Badgers not sharp on O but have a 4-0 lead with 15:58 left becuz IU is 0-4 from deep, 0-5 overall and has 2 TOs. Kohl Center has some buzz to it. Ethan Happ has all 4pts early for the #Badgers . Indiana 0-5 FG, 0-4 3FG. 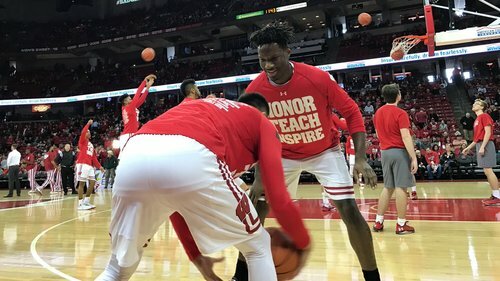 Nigel Hayes with the extremes today. 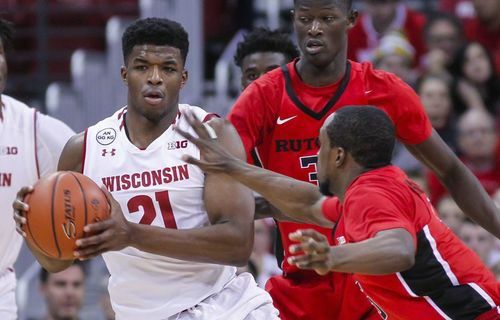 Guarding 6-3 Robert Johnson and being guarded by 6-10 Thomas Bryant. Bronson Koenig has four rebounds already. His career high is seven. 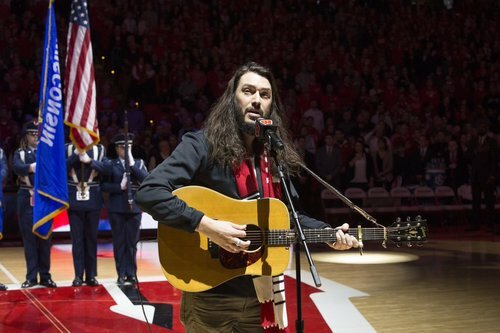 Thanks @corychisel for a beautiful rendition of the national anthem.